Children can learn many of life’s lessons by having and caring for a pet: responsibility, trust, compassion, respect, dealing with grief, loyalty, patience, and more. For many families, a small animal is a good choice as a child’s first pet as they tend to take less space, are easier to care for, cost less, and require less attention. All these small animals evolved as prey species, and so they developed caution and even timidity. They do each have their own characteristics and personalities, and one may be more suited for your child than the others. 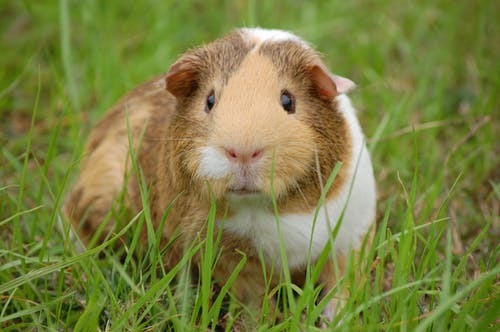 Guinea pigs, or cavies, are very social animals and are happiest when kept with at least one other of their kind. They can be quite vocal, with a variety of sounds that are entertaining and indicate when they are happy or excited. When they are hungry, they will let you know with a high pitched, drawn out squeak: wheek! wheek! wheek! They are gentle and have a very sweet disposition, which makes them less likely to bite than other small rodents. They don’t mind being handled if it‘s done with care and kindness and they tend to be very patient with young children. Their diet includes hay, vegetables, and pelleted food with Vitamin C added. 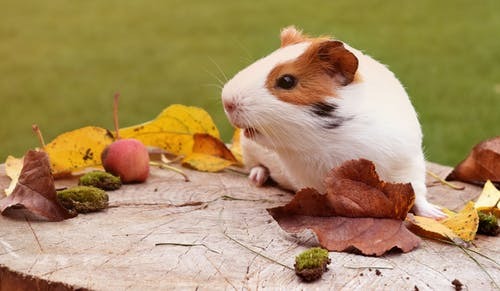 Guinea pigs live for five to seven years and they require more time and effort than smaller rodents because they eat more and are messier. Using appropriate bedding and frequent cage cleanings are very important. There are a variety of breeds, including short and long hair, and a range of colours. Soft and furry rabbits can be great pets for young children provided some adult supervision is also available. They generally have a gentle and sociable nature, especially the larger breeds, and with care can be handled and cuddled. It’s best to spay or neuter rabbits to prevent any aggression or breeding. Rabbits can live from 8 to 12 years, so they represent a fairly lengthy commitment. Because they can be litter trained, rabbits can have a certain amount of freedom to move around the home. They are quite easy to care for, as they groom themselves. 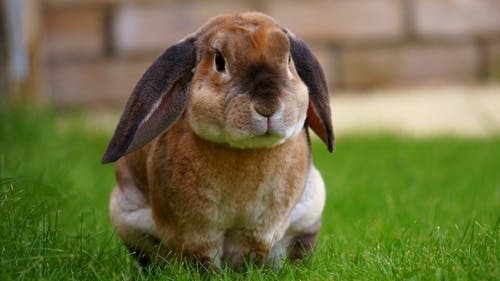 Long haired breeds may require frequent brushing and all rabbits need their nails trimmed and must chew to control the continual growth of their teeth. Their diet includes hay, rabbit pellets, and vegetables. They can do well in an indoor cage, and can also thrive outdoors in a hutch, and love the opportunity to explore outside provided they are kept safe from predators. Rabbits come in may breeds, sizes, coat types, and colours. 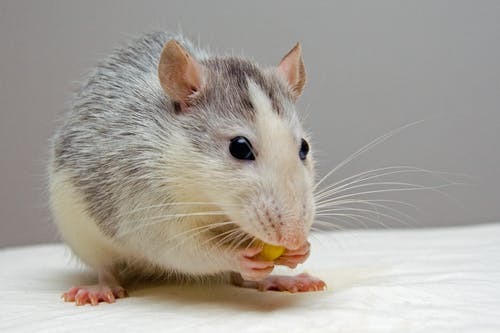 While many people may be turned off by the idea of having a rat as a pet, they can be a really good choice. They are clean, very sociable, and enjoy being held and cuddled. Their size is about right for small children, being not too big or small. They rarely bite, and their high intelligence makes them very trainable. Your child may enjoy interacting with their rat, teaching tricks such as retrieving or navigating obstacle courses and mazes. Some toys in the cage to play with and chew on can keep them occupied, and their diet is simple and can be varied. Their life span is short, though, at only two to three years. If a busy, active pet that is fun to watch seems like the right choice, a hamster should be considered. They really are the busy bees of the pet world and are usually on the go, but most often don’t appreciate being handled a lot and can be a bit nippy. The larger Syrian hamster must be kept alone to avoid fighting, while the dwarf breeds can do well in pairs or groups. Their cage needs to be roomy, with tunnels and nesting areas for sleeping. Hamsters are nocturnal, which can be disappointing to children when they are fast asleep all day and become active just at bedtime. They require very little care beyond feeding and cleaning, and have a lifespan of about three years. 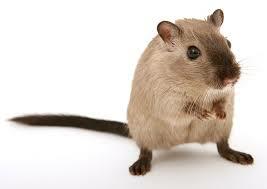 Gerbils are great fun to watch, they are quick, agile, and active. With gentle handling, they can tolerate being held for short periods, but are unlikely to be still for long. They are better suited to a child who enjoys observing rather than holding them. They require an environment with plenty to do: tunnels, ramps, wheels, toys, and so on. They are desert animals, and don’t tolerate high humidity well. Feeding, cleaning their cage, providing a weekly dust bath, and having things to chew on is about all the care they require. They can do well in groups, although occasional aggression and fighting can occur. They do pack a lot of living into their short lifespan of about two years. This list could go on to include reptiles such as geckos or iguanas, a variety of birds, other small furry animals such as chinchillas and sugar gliders, and the spiny hedgehog. All have their pros and cons, and we urge you to do enough research and give enough thought to be sure of what you might be getting into. Don’t buy a pet on a whim or impulse or because it’s the latest fad. Having a pet should be a commitment for its entire life, so be sure before making a decision. https://apetslife.ca/wp-content/uploads/hamster.jpeg 291 500 caorda https://apetslife.ca/wp-content/uploads/2016/04/a-pets-life-logo-1-300x108.png caorda2019-04-01 09:28:222019-04-08 13:54:48A Small Pet for Your Child?